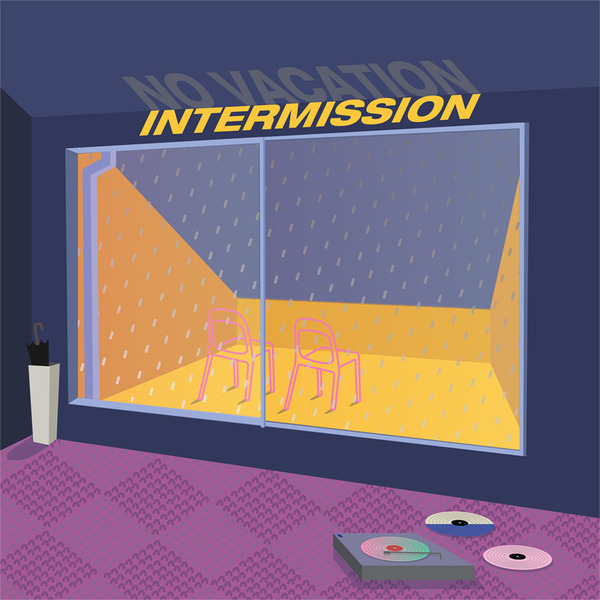 For our listeners who are not yet familiar with our latest interviewees, we are excited to present to you one of your new favorite bands: No Vacation. 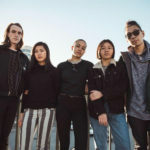 From a recent signing with Top Shelf records, to the announcement of their debut slot at Austin, Texas’ South by Southwest festival, it is clear to see that this group has gained a foothold in both local and national music scenes alike. 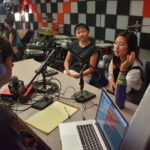 As we look forward to the release of their second EP, Intermission, we present to you an intimate sit down with vocalist/guitarist Sabrina Mai and keyboardist Nat Lee for an exclusive Music City Radio interview. There is a captivating narrative of resilience and fate regarding the history and current formation of No Vacation, especially for a band whose first full length EP, Amo XO, dates back only to April of 2015. 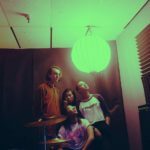 As this darling of an EP organically found its way around the internet, these young musicians, juggling their art and school work, we’re out on the circuit with a force. As fan made videos, complimentary write ups, and nifty merchandise materialized, the band became quite a gem in the bay area scene. Amidst the peak of these successes, creative differences and personal conflicts brought the group to a halt. While Spotify and Bandcamp play counts continued to grow, the band No Vacation was suddenly no more. 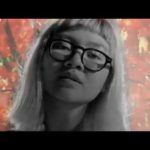 Many months later, the wonderfully gifted Sabrina Mai would inevitably ask a few of her old bandmates to play with her as a live act for her solo project. While it was never the intention, it was this nonchalant request which sparked the rebirth of No Vacation. As the band began to rehearse the songs she had written, it didn’t take long for them to remark, “Wow, this is exactly the same.” It is clear that the inherent chemistry of the group was the force that brought it back together, and it was in part due to the previous trials and hiatus that the band would blossom into a more legitimate and authentic version of itself. As the band found its footing again, members changed roles, new garages hosted late night jams, and many new songs were written. All the while, the essence of the band and its beautiful mellow pop sound only continued to mature. 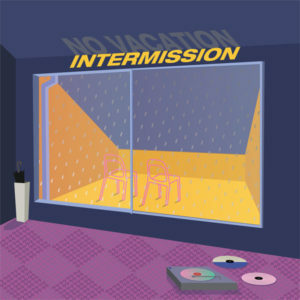 No Vacation’s music possesses a unique charm in it’s simultaneous humility and confidence, and it is with that same grace and authenticity that they opened up to us about their personal lives, the band’s history, and their morphing ambitions of professional artistry. While most members of the group are in their early 20’s and are still juggling their passion for music with higher education, there is an evident wisdom in both their music and conversation alike. The tribulations leading to their initial hiatus have been a source of both inspiration and contemplation for its lasting members, and it is no coincidence that their newest EP bears a tittle relevant to this experience. As they prepare a move to New York City, they are embracing a newly found desire to make No Vacation a full time commitment. We think thats a brilliant idea. This band is exemplary of the independent ethic that can drive a group from out of basements and garages and into the public sphere. 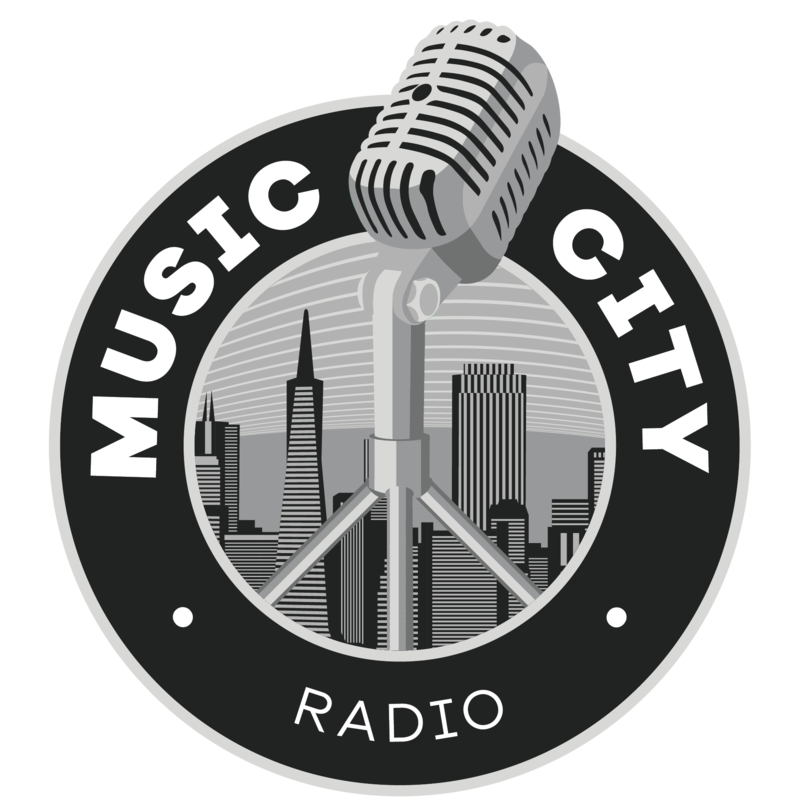 From the studio to the classroom and back again, these artists have made a wave in our local music scene and far beyond, and we here at Music City are thrilled to have provided them a temporary musical home throughout their time here in San Francisco. It is for bands like this that we run our operation, and it will be our great pleasure to watch No Vacation continue to blossom as they take on the unique challenges of the East Coast scene.